A photo of Marissa Kennedy is held up for a photographer by an attendee Saturday evening at a Belfast vigil to honor the life of the 10-year-old Stockton Springs girl, who police allege was killed by her mother and stepfather, March 3, 2018. Like the Child Welfare Ombudsman, we were alarmed that, of the 13 accidental death cases, eight involved co-sleeping. More must be done to educate new parents about the extreme risk of co-sleeping, which becomes even more dangerous when there is medication, alcohol or other substance use by a parent. Therefore, it is appropriate that the department’s response includes targeted efforts in public outreach and education around the dangers of co-sleeping. The proposed increase in home visiting through the Public Health Nursing Program and Maine Families will offer valuable parenting guidance, including safe sleep practices, and connect families to community-based supports. Also deeply disconcerting is the number of instances where the department was extensively involved with the family, particularly where the child died with an open case before the department. But this isn’t surprising given that, according to data from the department, the most prevalent family risk factor identified during a child protective assessment is prior history with CPS, followed by mental health problems. Since most of the children who died were known to the agency, it’s clear that there needs to be more support and oversight of critical casework decision making. To appropriately respond should require an intensive focus by the department on casework practice including an immediate review of all open or recently closed cases where the child remained in the home. After decades of inadequate investments in Maine’s child welfare and safety net systems, we find ourselves with a department now in transition. With scores of recommendations for strengthening the child welfare system, including reports from outside consultant PCG and the Legislature’s Office of Program Evaluation and Government Accountability, we are hopeful that it is ready to respond to the significant challenges it faces. When there are deaths of children who have been involved in the child protective system, it is critical for these cases to be thoroughly reviewed so that we can understand what happened and work to prevent future instances. There is already one such statutory mechanism for this purpose. The Child Death and Serious Injury Review Panel provides “comprehensive case review of child fatalities and serious injuries to children in order to promote prevention, to improve present systems, and to foster education to both professionals and the general public.” With more administrative support, this body of experts and professionals could provide more frequent reviews of cases, and share its findings and recommendations more widely with stakeholders, decision makers and the public. The Legislature also has a role to play in responding to the issues being raised about the child welfare system. Currently, policy proposals are considered in committees of jurisdiction. A new bill sponsored by Sen. Bill Diamond seeks to create a watchdog committee whose sole task would be to focus on and take pointed legislative efforts to address issues within the child welfare system. 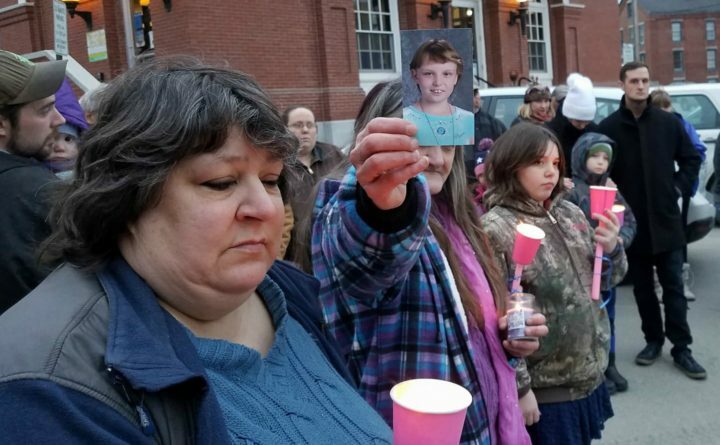 This could be an important opportunity to provide more oversight of the system tasked with protecting Maine’s children. Finally, it might be helpful for the department to regularly convene public briefings on the status of child welfare, outlining on-going steps that will be taken to prevent further harm to children. Doing so will rebuild public trust in this critical function of our government. All Maine children deserve to be safe. It is our collective responsibility to provide this inalienable right. To ensure this will require immediate and sustained efforts within the department, Legislature, and in our homes and communities. Claire Berkowitz is the executive director of the Augusta-based Maine Children’s Alliance.